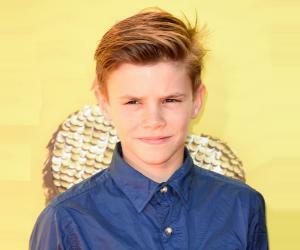 Romeo Beckham is the son of David Beckham and Victoria Beckham. Check out this biography to know about his childhood, family life, achievements and other facts about his life. Romeo James Beckham is globally known as the son of the legendary football player, David Beckham, and the prominent singer and model, Victoria Beckham. Born to insanely famous celebrities, Romeo Beckham has been exposed to the limelight right from his birth. His father, David Beckham, needs no introduction as he is one of the most renowned former professional football players in the world and has represented the England national team, Manchester United, Real Madrid, Milan, Preston North End, and Paris Saint-German teams. On the other hand, his mother, Victoria Beckham, shot to worldwide fame as a popstar in the pop group called ‘Spice Girls’, where she lovingly earned the nickname ‘Posh Spice’. Currently, she is a well-established businesswoman, model, and fashion designer. With some amazing genes in his stride, our little Romeo is blessed with good looks and an unmatched sense of style at an early age. He has already gathered a loyal fan following that has declared him as cute and talented. His fans have high hopes of him following the successful paths of his parents in the fields of sports and fashion. It will be wrong to assume that Romeo Beckham owes his complete fame to his successful parents. Romeo himself has made a huge debut in the glamour industry by modeling for a top-notch, global brand – Burberry. Being born and raised in a high-standard English family, sophistication comes easily to him and it is wonderfully reflected in the photoshoot for the Burberry campaign. Romeo looks extremely smart and presentable, wearing the iconic trench coat and cashmere scarf replete with the characteristic checks that are so unique to the brand. With such a brilliant start, his modeling career does seem very promising and he already has a few first-class brand endorsements up his little sleeves. His natural charisma and effortless sense of style is deemed worthy of the praises and accolades he has received so far. Following in his mother’s footsteps, he has developed a keen interest in the fashion arena full of glamour and glitz, and knows how to pull off both contemporary and classic elements of fashion. He had also expressed enthusiasm for learning soccer, which is why his father enrolled him at the Arsenal Academy without any further ado. But being a kid, Romeo was a little fickle-minded and he decided to drop out of the football coaching and enter the fashion industry. He knows how to set his priorities right and has not failed to keep up with his studies despite his involvement with the fashion industry. He loves to upload his recent pictures on his Instagram account and has earned a large number of followers. Even though he is fond of keeping his fans updated on social media, he does not have a Twitter account yet. 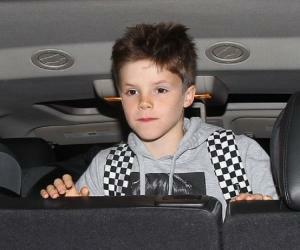 Romeo Beckham was born on 1 September 2002 to Victoria Beckham and David Beckham. He has three siblings. He has been accustomed to the pros and cons of a celebrity lifestyle since his very birth. 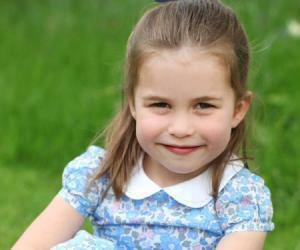 It is known that he suffered from repeated bouts of epilepsy during his childhood days, as a result of which he was shielded from the paparazzi and all the media attention by his loving mother, Victoria. Like all mothers, she felt protective of her son’s health and did not want to expose him to the constant surveillance. Though Romeo is anything but camera shy, he likes to keep his personal life under cover and maintains a low profile. There have been no reports of him having a girlfriend as yet, and he is probably too young to enter the dating game. His parents are happily married and he has been brought up in a loving, close-knit family environment. Being a Virgo male, he has a reserved yet charming persona and is very affectionate. He shares a close bonding with his parents and his siblings, as can be deciphered from the Instagram updates. He values self-respect and is fiercely passionate about anything he loves. Romeo is highly intelligent and observant of every tiny detail around him and can excellently analyze a situation and use it to his benefit. He is showing all the signs of being career-oriented though he is only a young teenager. No doubt he will soon evolve into an independent young man!